I'm not sure who was more excited. My four daughters or me. You see, we were about to attend Frozen on Ice. That said, I was still stunned to witness what a morning performance of Frozen on Ice could do to downtown Atlanta traffic. We're talking a slow, and I mean slug-like slow, crawl. All the little Annas and Elsas and their moms who took to the sidewalks on foot were making better mileage than our mini-van was. Thankfully, we eventually we made it to the arena. And, fortunately for us, it was a show that did not disappoint. It was toward the end of the second half, that my 3-year-old asked me if the on-ice "love experts" were indeed "real." After I carefully explained that the trolls were people in disguise, I found myself reflecting, for perhaps the five-hundredth time, on the lyrics to this unusual choir's song, "Fixer Upper." I came to the same conclusion that I have in the past. This is not a tune to simply write off. Rather, it's one to stop and ponder. You see, I really think that this Disney silly song offers a sobering reminder to each of us when it comes to our relationships – specifically in our marriages. With this musical number, Disney hits on a universal truth: we are all fixer uppers. In the book of Romans, the apostle Paul puts it like this: "For all have sinned and fall short of the glory of God." Not some of us. Not a merely a few. All of us. We are all in need of fixing up. Yep, my husband Ted and I will both attest that we not only married fixer uppers, but we each remain one too. We can both use improvement. Lots of it. Yet what we've discovered over the last decade of marriage is that our best improvements haven't resulted from the other's concentrated efforts to force change in us. Rather, they've blossomed from the other's resolved attempts at practicing Christ-like love. Yup, love. Love that offers patience when we're mad. Love that extends kindness when we're scared. Love that responds with gentleness when we're stressed. Love that ultimately doesn't focus on our worst, but as both the song and the famous 1 Corinthian love chapter explain, seeks to bring out our best. The fact is, it's not easy to love each other when our fixer-upper status is especially evident. Sometimes it's just plain hard. Just ask Ted on my bad days. But, as the rock-like trolls in Frozen sing, love really is "force that’s powerful and strange." 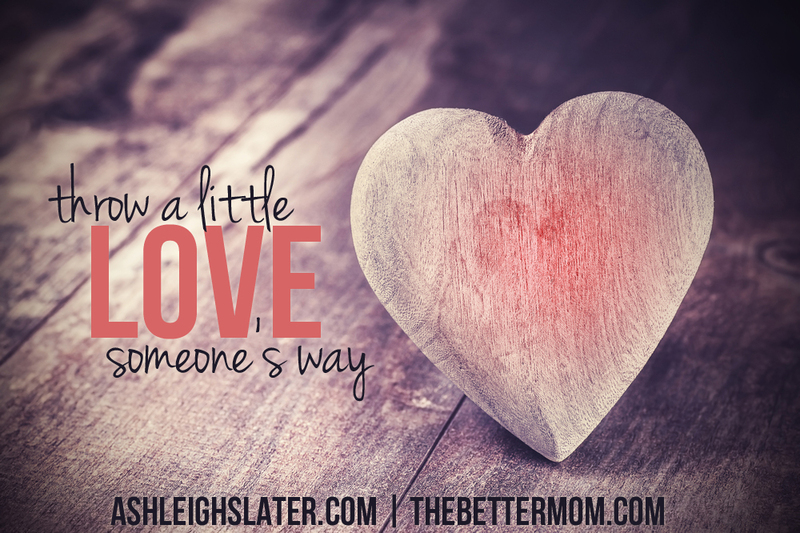 It's amazing what happens when we choose to "throw a little love" someone's way. My husband and I can testify to that. Unlike me, maybe you have grown weary of Frozen. Maybe you do cringe when the song "Let It Go" comes on or when your kids hit play on the Blu-ray for the five-hundredth time. If so, it's okay. We can still be friends.